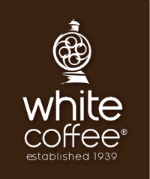 LONG ISLAND CITY, N.Y., Oct. 6, 2016 /PRNewswire-USNewswire/ -- White Coffee Corporation is taking the plunge into the cold brew segment this fall with the introduction of "Organic Cold Brew." "Cold brew," the method of brewing coffee through a totally cold process without exposure to hot water, is taking the country by storm. White Coffee's Organic Cold Brew may take the lead in the contest for a rich taste from the new way of preparing cold coffees.